A pub band must deal with necromantically faulty equipment, and adventurers travel incognito to protect their spoils. The scarred veterans of a literal battle against disease face their foes, magnified to a human scale. Goat Tranquility – Tonight! One show only! Doors open at 11pm, the hellish vortex at midnight! Surviving minions of the dark overlord are force to save the world. The only people in their way are the heroes who brought their former masters to justice. 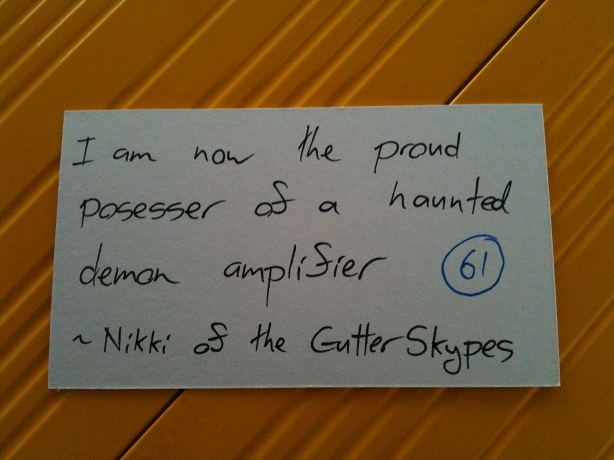 Explorers “fax” copies of themselves into hostile environments, gathering clues with each successive, fatal attempt. Scintillation – No legal definition, sadly. The New Flag “Thing” in a quick form. No chastisement from me this time. I made sure to spread the wealth and posted this podcast where fans of Tri Tac Games gather. Expect a spike in listenership. So, the topic is “The Big Red Couch”? Hrmm. Oooh. I have an idea. You’ve heard of the RPG Tales of the Floating Vagabond, right? The Big Red Couch is bit like The Vagabond: A space bar on Ceres, where the local asteroid miners come to partake of it’s vac-stilled moonshine and “beer”. It’s a place to find out the latest bit of news on potential lodes of rare earth metals and of course, the fabled “El Dorado” the Asteroid of Gold. Of course, we all know that’s just a story. Right? In any case, if you did find an asteroid of gold, you’d kill the gold market even more since asteroid mining started. No, its more about dealing with the colonists that dot the larger asteroids: the libertarians of Pallas, the socialists of Vesta, the capitalists of Ceres, and the like. No, life as a miner means getting involved in various jobs to cover your costs while your Robo-Miner™ handles your claim. So the Quest giver… err, the job board at the Miner’s Union has the crappiest jobs, but you’ll find more lucrative jobs at The Big Red Couch. Run by expat New Zealanders Craig and Ben, it is the gathering center for miners, spacers, and folks with jobs that don’t quite fit on the job board. We’re wearing fezzes, sunglasses, and it’s dark out. Hit it! When I started reading your idea, I had a horrifying moment of “You Sunk My Battleship”, but you went in a different direction, fortunately. Craig’s idea would fit very well with the “strangely independent group of ambiguously young people driving around in a vehicle with a unique supernatural entity, usually a talking animal” genre of Hanna-Barbera 70s cartoons like “Scooby-Doo” and “Jabberjaw.” In fact, if I remember correctly, the kids in Jabberjaw were a band. I had to look up Jabberjaw, as I had absolutely no memory of it; If it ever made it out here to the Edge of the (former) Empire, I never caught it. You’re right; That does fit very well. And the idea of the standard Hanna-Barbera themes & characters dropped into a generic D&D-esque fantasy world makes me laugh way more than I should. The Mystery Inc. series as a episode with an appearance from Speed Buggy, Jabberjaw, Captain Caveman and Funky Phantom helping Scooby solve a mystery as a team of mascots. 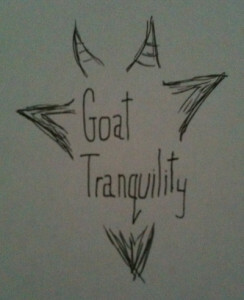 Clearly the Goat Tranquility logo needs to be a goat standing next to the Apollo 11 landing site in the Sea of Tranquility. In my imagination, the goat is contemplatively chewing on the flag. I’m part of the listener spike from Bureau 13. I like what you do here. Craig is right. Fringeworthy is the uber campaign because you can put anything in it (like Bureau 13) including disparate rpg systems. I’m interested to see where you go with this. I’m glad you like the show, and thank you for wandering over to take a listen.